I made this cake for my mother’s 70th birthday party. I wanted something super simple but elegant so decorated it with just circles and her “3 names” in soft colors that complemented the colors of the party. 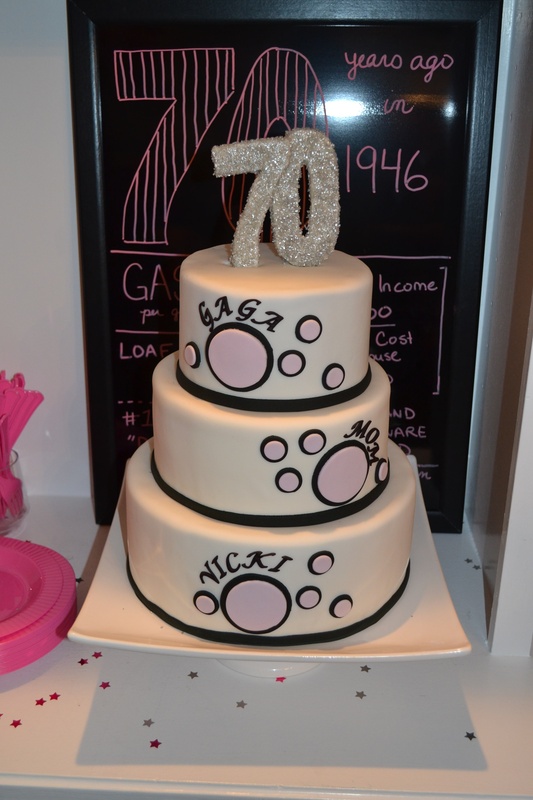 I then topped it off with a sparkly “70” on top.